Changes in lifestyle of the urban population have given rise to the coffee culture in India. Contributing to the growth is also globalization and changing pockets. The coffee culture has now percolated from metros to tier – II and tier – III cities. Coffee earlier was considered to be expensive indulgence and also coffee cafes were places for socializing or for holding business meetings. Major chunks of the urban population live in a nuclear set-up and also fall in the DINKS (Double Income No Kids) segment. This target clientele would not mind to replace a meal with coffee and a snack, which could be a sandwich, wrap or doughnuts. Comparing the growth to the last decade there has been a significant increase in the consumption basket too. The new age coffee brand primarily target corporate and students. According to TechSci Research’s report titled ‘India Coffee Shops/ Café’s Market Forecast, Consumer Survey and Opportunities, 2021’, coffee shops market in India is projected to grow at CGR of over 11% during 2016 – 2021, on account of the growing coffee culture among young population, increasing urbanization, rising disposable income levels and changing lifestyles preferences of consumers. There has been a significant change also in the way people work now (virtual offices), most of the coffee shops offer free Wi-Fi and entertainment zones. 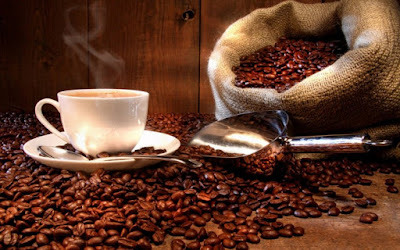 The demand for coffee brands is huge from New Delhi, Mumbai, Chennai, Kolkata, Bengaluru and Hyderabad. While they are expanding here at a break neck speed, the coffee chains are also targeting expansion to tier II and tier III cities. Café Coffee Day introduced India to the coffee culture and also considered to have pioneered the art of coffee serving. The brand plans to open 400 new outlets in the country, with an investment close to about 400 – 450 crores. While 70% would in opening up new outlets in cities they already exist and the remaining in new cities and highways. Tata Starbucks Pvt. Ltd is a 50/50 joint venture between Starbucks Corporation and Tata Global Beverage Ltd. As of now they operate 79 Starbucks store as of Feb’16, after launching in Oct’12. UK based Costa Coffee entered India in 2005 on an exclusive master franchise with Devyani International. Costa Coffee was the 1st International coffee chain to set up operations in India. Costa currently operates 96 outlets. Logistics is one of the biggest challenges faced by coffee retailers. Huge cost involved in supply chain restricts expansion of many coffee brands and considering that there’s a huge investment setting a new production unit, seems an expensive affair. Location plays a very important role in steering the business towards profitability. High rentals are also one among the many challenges faced by them. Brands are focusing more on making coffee culture a profitable business rather than increase the counts. Indian and International coffee chains should be able to cater to the local flavors. With the existing competition one needs to incorporate specific regional preferences in their menu. While coffee chains operating in the country are taking pro-active steps to change the perception and overcome the challenges, at the same time somewhere, someone is enjoying their cup of cappuccino and thanking all the coffee retailers for making coffee a stress buster / pick me up /wake me up drink.